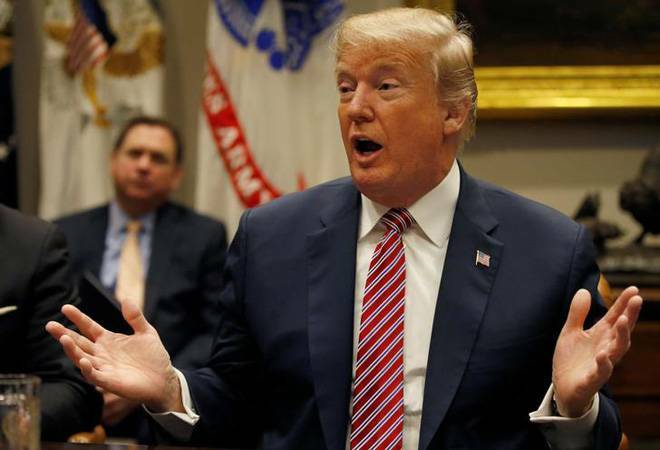 Advocacy groups such as the Center for Law and Social Policy and the National Immigration Law Center said it will discriminate against low-skilled, low-income immigrants. The Trump administration has come up with a draft proposal to massively overhaul the federal regulations that decides which immigrants will be declared public charge, in turn impacting the immigration process. Public charge is essentially someone who is dependent on government services including cash assistance and long-term medical service. Citizens who are applying for a status change or for a green card will have an uphill task to undertake as the proposal is skewed in the favour of wealthy and highly-skilled individuals. According to USA Today, in a statement Secretary of Homeland Security Kirstjen Nielsen said that the administration was enforcing a longstanding federal law that requires immigrants to "show they can support themselves financially." What the proposal does is it makes individuals who are applying for green card or status change to submit a new Form I-944. This form gauges a range of details about the applicant, including age, English proficiency, educational qualification, financial status etc based on which the immigration authorities can deny a green card on grounds of public charge. The financial status of the applicant must indicate income or assets above 250% of federal poverty guidelines (FPG), which is $41,150 for a family of two or $84,350 for a family of six. According to a report in Times of India, 25% of immigrants from 2014 to 2016 have income below the 250% mark. Indians tend to acquire green cards mostly via family sponsorship. Think tank Migration Policy Institute (MPI) said that out of the 64,687 green cards allotted in 2016, 65% were acquired through the family sponsorship route. As such, immigration officials may stop a lot of family immigrants. Current rules also state that green card applicants need a financial sponsor. In case of parents, it is mostly the son or daughter with a US citizenship. The sponsor would need to declare his or her willingness to financially support the parents to prevent them from becoming public charge. In such cases the income is pegged at 125% of FPG which is $20,575 for a two-member family and $42,175 for a six-member family. According to the daily, experts believe that most of the "negative factors" such as age above 60 years, lack of English proficiency, health issues etc could lead to denial of green card. The administration believes that these "negative factors" could lead one to become public charge. The Trump administration says that the changes would lead to US taxpayers saving up to $2.7 billion a year as it will deny immigrants government benefits. However, advocacy groups such as the Center for Law and Social Policy and the National Immigration Law Center said it will discriminate against low-skilled, low-income immigrants and transform US "from a country that welcomes people who plan to work hard and achieve a better life, to one rigged in favor of the wealthy", as mentioned in the American daily.